Anyone involved in livestock farming will look back at the first half of 2018 with not-so-fond memories. Challenges of the weather – first icy cold, then wet, then unexpectedly dry and warm – made for difficult conditions. Elanco vet Fiona Hutchings says: “For many sheep producers, a harsh spring lambing season significantly impacted on live lambs reared. “As a result, productivity of each and every lamb which survived is even more important. “Managing the worm burden, both that in host sheep themselves and in refugia [on the pasture] is key to ensuring optimum weight gain and a healthy, thriving lamb crop. “As lambs grow and we look ahead to midsummer, it is fair to say that, on most farms, lambs will have received at least one treatment with one of the wormers from either the white [Group 1-BZ], yellow [Group 2-LV] or clear [Group 3-ML] groups. AR is well documented, with surveys showing that, of the farms surveyed, many have a degree of resistance1,2,3. For instance, in a recent survey in Wales, it was shown 94 per cent of farms surveyed had a degree of white 1-BZ (white drench) resistance and 51 per cent had a degree of 3-ML (clear drench), in addition to 19 per cent of farms having resistance to moxidectin1. Worming when the refugia population is low. She says monepantel kills economically significant roundworms and will remove resistant worms other wormer treatments have left behind. As with all wormers, farmers should follow Sustainable Control of Parasites in Sheep advice and not dose and move lambs to clean pasture. Ideally, lambs should go back on to the pasture they were previously on for a few days or 10 per cent of lambs should be left untreated. Rob and Anna Hawke manage their own 1,000-head Romney ewe flock, in addition to managing their landlord’s 600 organic ewes. The farm, at Bishopstone, near Salisbury, is about 202 hectares (500 acres), all of which is under some form of environmental stewardship scheme. Land is grazed without a break, meaning the worm burden could become a serious problem. Mr Hawke says: “With all our land in either stewardship or environmental schemes, it is vital to us to maintain the efficacy of the wormers we use. We are not set up to follow sheep with cattle, and our acreage means every last field is in constant use. Several years of faecal egg count testing means Mr Hawke knows there is slight white (Group 1-BZ) and yellow (Group 2-LV) wormer resistance in the flock and no clear drench resistance (Group 3-ML). He says: “This still allows us a certain degree of flexibility with wormer choice and rotation and is a situation we aim to maintain. 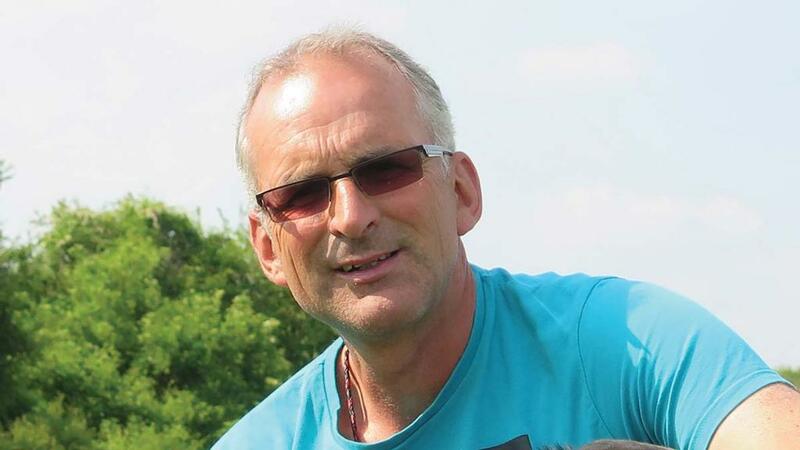 “A key part of this was opting to start using the new Group 4 wormer when it was launched. 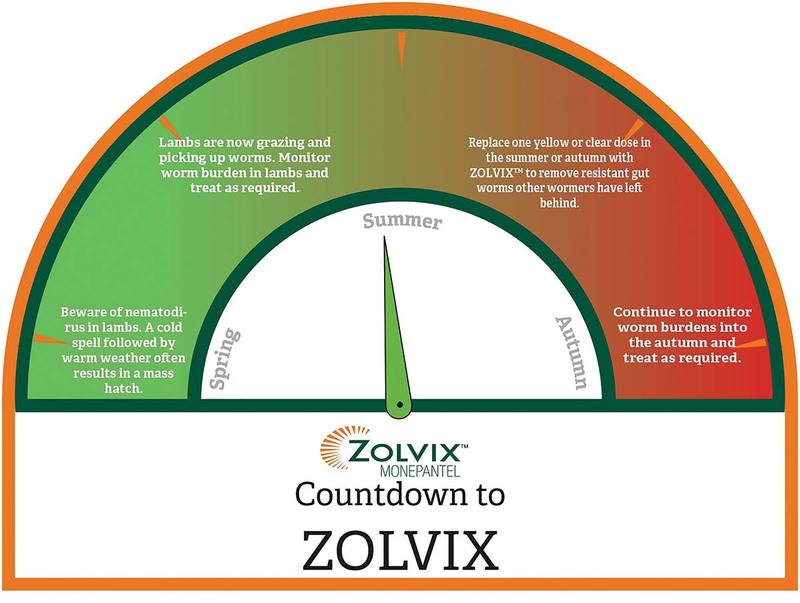 We use Zolvix when egg counts are likely to be high in late summer/early autumn and rotate it with wormers from other groups. “As graziers, every sheep and lamb has to pay its way; we do not receive subsidies. Keeping the flock in top condition is important to us and results show managing the worm burden effectively is essential for the flock’s health, welfare and performance. ZOLVIX 25mg/ml oral solution for sheep, active ingredient monepantel, legal category POM VPS in the UK. Information regarding the side effects, precautions, warnings and contra indications can be found in product packaging and leaflet; further information can be found in the Summary of Product Characteristics or by contacting Elanco Animal Health on +44(0)1256 353131, or by writing to Elanco Animal Health (the animal health division of Eli Lilly and Company Limited), Lilly House, Priestley Road, Basingstoke, Hampshire, RG24 9NL. Use medicines responsibly noah.co.uk/responsible. Advice on the use of this or alternative medicine must be sought from the medicine provider. 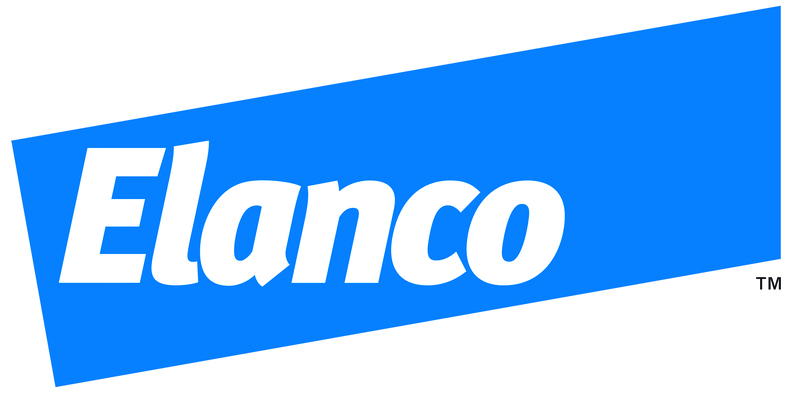 Elanco, Zolvix and the Diagonal Bar logo are registered trademarks owned by Elanco and its affiliates UKSHPZOL00099 ©2018 Elanco or its affiliates. Previous Article What would you do with £500 cash?